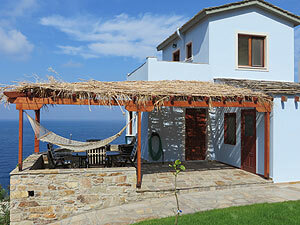 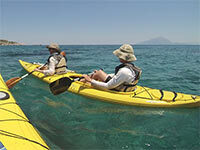 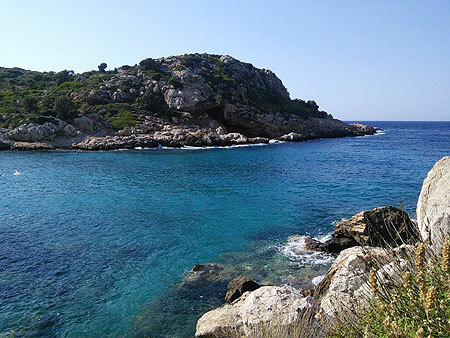 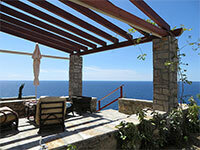 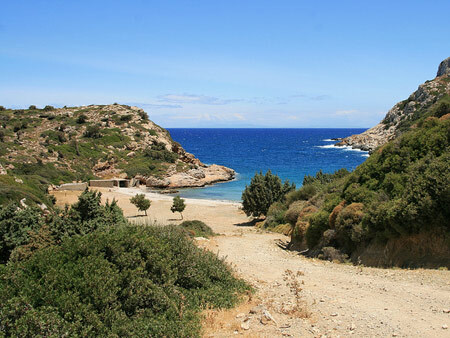 Iero Beach is located in the uppermost northwest corner of Ikaria behind the airport and near Faros. 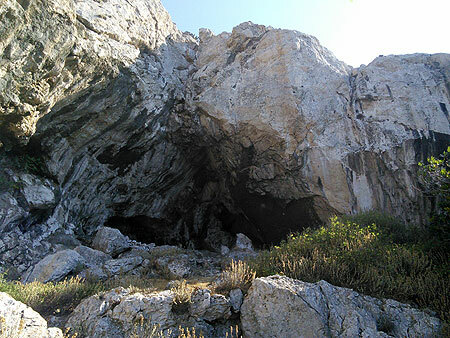 Legend has it that the "Iero" was the ancient site of a temple to Dionysos (Bacchus). 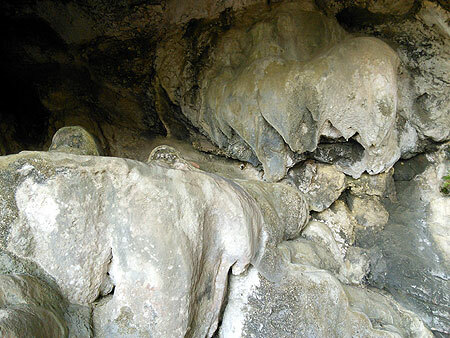 The area of Drakano to the East is thought to be the god's birthplace. 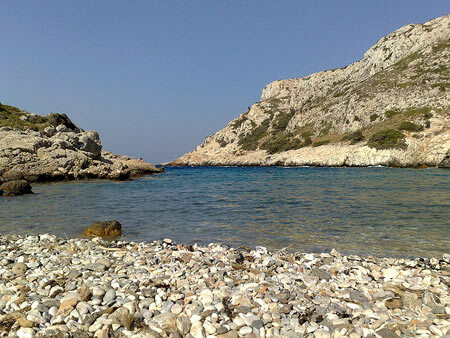 Iero Beach is ideal for snorkeling. 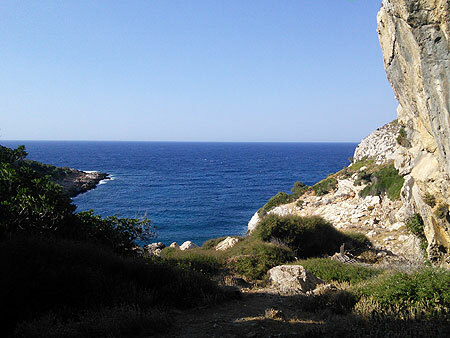 It is a protected cove with some interesting rock formations above and below the sea. 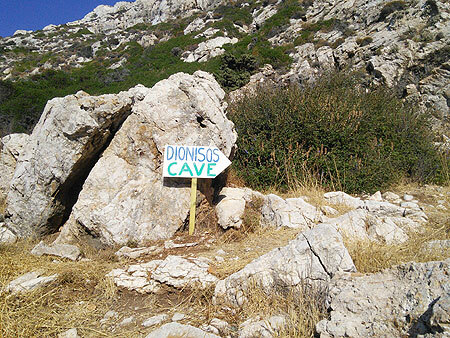 Walking around to the right of the beach there is a large cave that may have been Dionysos's temple. 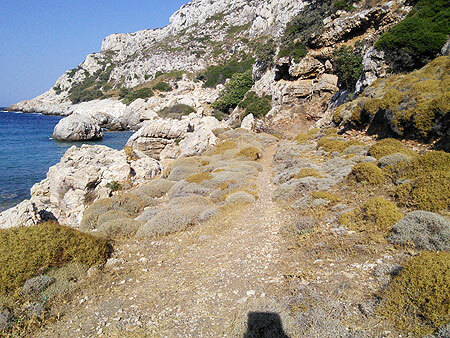 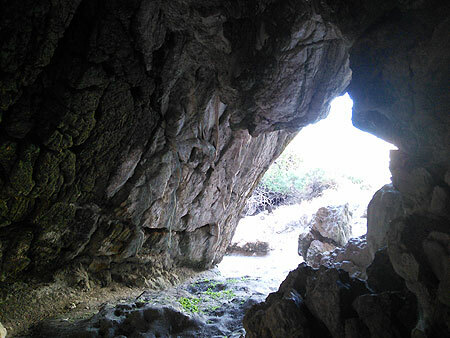 A marked path leads the way to the cave area that can be easily explored. 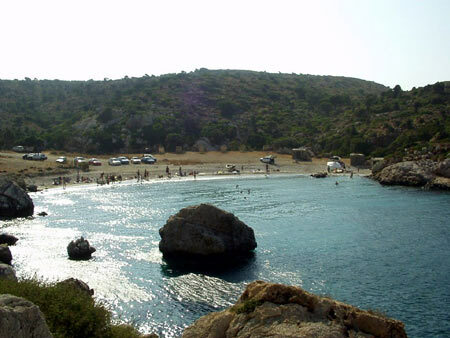 Access to Iero Beach is via the road from Faros Village that leads east towards Drakano Tower and runs behind the airport.